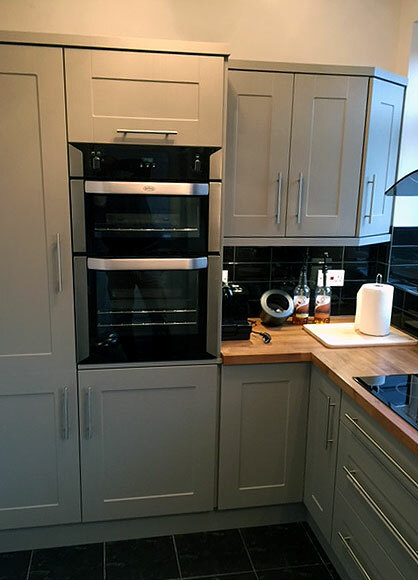 Arley Cabinets of Wigan are always busy manufacturing splendid fitted kitchens, superb fitted bedrooms and built-in wardrobes. 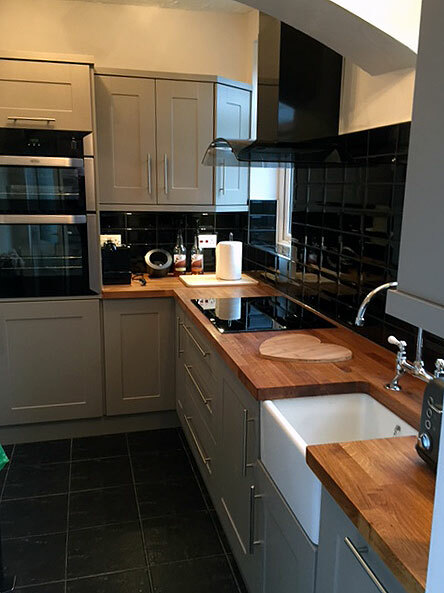 This fitted kitchen in Beach Hill, Wigan is just an example of the type of work we have produced. 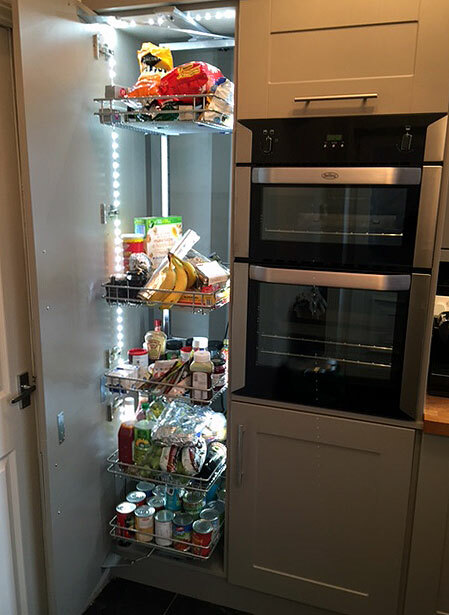 The customer obviously wanted to optimise the space in this family kitchen whilst keeping the look classic with some contemporary touches. The combination of doors married with a timber work top, all complimented by dark tiling to the floor and the walls provides makes for stunning look, great for any kitchen. 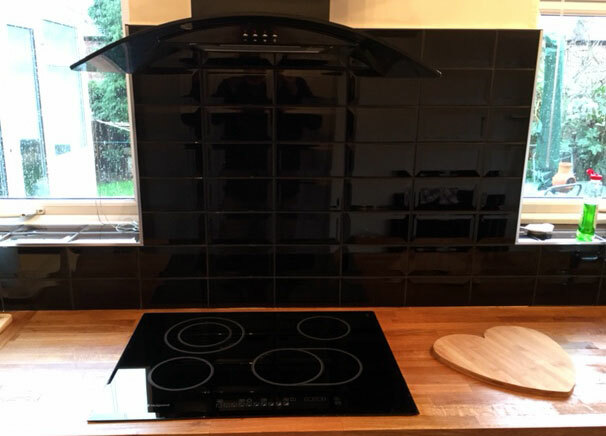 Some great features include built-in larder storage space with integrated lighting, a traditional Belfast sink, flush easy clean hob and of course a glass extractor hood. 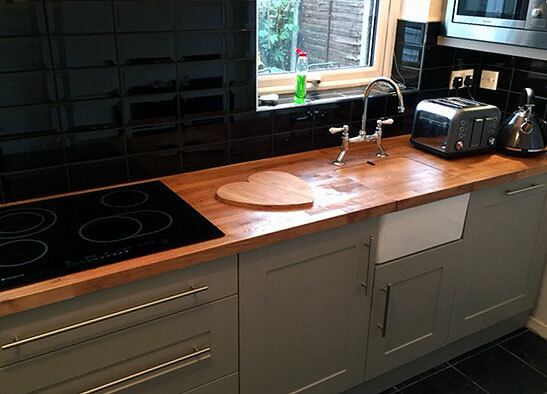 If you are looking for a new kitchen and you live in Wigan and surrounding districts get in touch today. 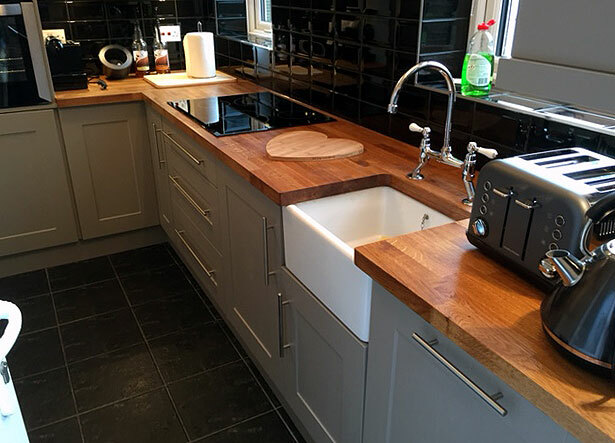 Arley Cabinets of Wigan are one of the few kitchen companies that design, manufacture and install fitted kitchens and bedrooms.